President to Sovietskaya Byelorussia: Learn from the Chinese! On August 2, the President of the Republic of Belarus, Alexander Lukashenko, visited the editorial office of the daily newspaper Sovietskaya Byelorussia. The meeting of the Head of the State with the staff of the country’s leading periodical, timed to coincide with the 80th anniversary of the newspaper’s first issue, has also encouraged an open and frank dialogue of the President with journalists about the current problems and prospects of Belarusian mass media as a whole. Invited to participate in the event were the editors-in-chief of major newspapers, senior officials of TV channels, of the Belarusian News Agency BelTA, of the Presidential Administration and the Ministry of Information. Alexander Lukashenko presented the editorial staff of the Sovietskaya Byelorussia with the State Banner of Honour of the Republic of Belarus. The periodical was honoured with this award in recognition of its outstanding achievements in the socio-economic development, unbiased and comprehensive coverage of domestic and foreign policy issues. According to the President, the main thing for the Sovietskaya Byelorussia is to remain a politically influential newspaper, an edition targeting, first and foremost, the serious audience. Answering the reporters' questions about the situation with the supplies of natural gas to Belarus, the President emphasized that it poses no threat to our country’s security. Within the next few days Belarus will pay $460 million to Gazprom for the gas supplied to Belarus in the first half of 2007, the President said. Answering another question, the President expressed conviction that Belarus can and ought to learn from Chinese experience in various fields. “Everything regarding China is interesting for me. Today this is a rapidly developing country. I was right when I once said: one should learn from them,” Alexander Lukashenko said. Belarus, he went on, has put the Chinese experience of setting up free economic zones into practice. “[China], in one way or another, is an example for all countries of the world,” he added. “The Chinese behave in a decent manner towards us. If we find ourselves in a difficult situation and ask them for anything, they always help us,” Alexander Lukashenko said. The Chinese leadership has taken a decision to support Belarus even if it will not, in some cases, be beneficial for China. Besides, Belarus is interested to cooperate with China in the investment sector. China is offering Belarus the loans with a very small interest rate of 2 percent per annum. The interest rate under the loans that Russia is offering Belarus for covering its gas bills is 8.5 percent per annum, the Head of State said. So, Russia is, in fact, offering a commercial loan that can be obtained in any country now, he added. Concluding the meeting, Alexander Lukashenko reiterated his congratulations to the staff of the newspaper on the periodical’s 80th anniversary and urged the journalists “not to lose face and opinion.” It is very important for our state, Belarus’ leader said. The practice of handing over loss-making agricultural companies to private business brings positive results, said President of Belarus Alexander Lukashenko during his working trip around the Minsk oblast on August 3. Getting familiar with the harvesting progress in the oblast, the head of state visited a subsidiary of the agricultural division of closed joint-stock company Vitex, the press service of the Belarusian leader told BelTA. Vitex is Belarus’ largest manufacturer of cosmetics sold under trademarks BiElita-Vitex. In 2004 the company acquired agricultural company Teplen, Uzda region, Minsk oblast. Measures taken by the new management resulted in a solid material base and rolling stock renovation. The new owners of agricultural company Teplen started with turning around the traditional profit-makers — meat, dairy and grain production. In 2008 the subsidiary of Vitex’s agricultural division plans to start manufacturing essence of herbs grown in the Uzda region allowing Vitex to start producing import-substituting goods. The President believes, the subsidiary of Vitex’s agricultural division is a vivid example of effectiveness the takeover of unprofitable agricultural enterprises by private business brings. “Private companies did not fail us in this area. We didn’t give a quarter of our destroyed agricultural companies to businessmen for nothing. We see results: private businessmen turn out to be effective farmers,” said Alexander Lukashenko. 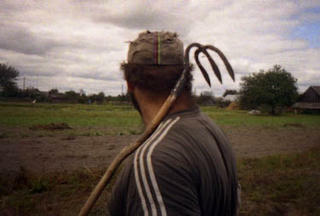 The President was generally positive about the harvesting campaign progress in Belarus. After getting familiar with reports about harvesting progress in the Minsk oblast and the country as a whole, Alexander Lukashenko underscored, “If it continues like that, we will have no problems with bread”. The Belarusian president said his country would pay a US$460 million (EUR 337 million) gas bill to Russia in the next few days, possibly with the help of Venezuelan President Hugo Chavez, as a Friday morning cutoff threatened by Russia's natural gas monopoly approached. Gazprom said Wednesday that it would nearly halve the volume of gas Belarus receives if it did not pay the debt. That sparked fears Belarus could siphon gas from pipelines taking 20 percent of Russia's gas exports to Europe, and rekindled bitter memories of Gazprom's past disputes with Ukraine and Belarus. Alexander Lukashenko's comments in Minsk suggested another protracted dispute was not likely. "I gave the order for the money to be taken from our reserves and for the payment of $460 million to be made," an angry Lukashenko told a gathering of Belarusian officials. "Let them live in peace." Gazprom spokesman Sergei Kuprianov said Lukashenko's comments "naturally give us hope." A delegation from Belarus pipeline operator Beltransgas will continue negotiations Friday morning in Moscow before a 10 a.m. deadline (0600 GMT), he said. "This is sufficient time to resolve the question," he said in televised comments. The gas standoff grows out of a hard-fought deal signed in the last minutes of 2006 that obliged Belarus to pay US$100 (EUR 73) per 1,000 cubic meters of gas, instead of US$46 (EUR 34). The agreement allowed Minsk to pay US$55 (EUR 40) per 1,000 cubic meters for the first half of the year, but required payment of the balance of US$456 million (EUR 334 million) to Gazprom by July 23. Lukashenko said Russia had offered it a loan with an 8.5 percent interest rate to pay the debt - terms he described as unfavorable. "The government of Belarus has been negotiating with Russia about this credit ... it's getting humiliating," he said in the speech before Belarusian officials. "I told them not to go there any more. We can get a loan like that from any country." As part of the deal, Belarus agreed to sell half of its national pipeline company, Beltransgaz, to Gazprom for US$2.5 billion (EUR 1.8 billion). Gazprom has so far paid US$625 million (EUR 457 million) of that, but the money has been transferred to the Belarusian Finance Ministry, rather than being used to cover the bill. Some observers have suggested that Gazprom is hoping to acquire further assets against Minsk's gas bills. "They want to privatize the whole country," Lukashenko said. Disputes over energy supplies have pushed relations between the traditional allies to a new low, and Alexander Lukashenko said he would be turning to "good friends," including Venezuela's Chavez, for help paying the debt. August 2, 2007 (RFE/RL) -- Russian gas monopoly Gazprom announced on August 1 that it will cut gas supplies to Belarus by 45 percent as of August 3 because of an unpaid gas bill of $456 million for deliveries in the first half of 2007. The move could be problematic for the government of hard-line President Alyaksandr Lukashenka. The country's economic stability -- or what Belarusian officials call an "economic miracle" -- has been largely due to cheap energy and favorable loans from Russia. RFE/RL correspondent Luke Allnutt asked Vitali Silitski, the director of the Belarusian Institute for Strategic Studies, about how the move could affect the Belarusian economy. RFE/RL: Is Belarus on the verge of economic collapse? Vitali Silitski: Not at all. The problem is rather technical and, as a matter of fact, if they wanted to pay that, they would have. It's more the political and economic maneuvering by the Belarusian side that led to this situation. Talking about the issue in question, it's about $500 million, and if they had wanted to pay it they could pay it with the money they received from the sale of [gas-pipeline operator] Beltranshaz. RFE/RL: So why don't they pay? Silitski: That's a very good question. There are several versions. One of them is that they are trying to use the debt as a pretext to get a new Russian loan and that they're sort of stocking up money in advance. The issue is not the economic difficulties right now, but the economic difficulties they would face in the future when the prices grow. So I think they wanted to receive a Russian loan in advance. RFE/RL: So gas prices in 2011 will rise to reach EU levels. You mentioned that in the short-term Belarus won't face any immediate economic difficulties, but in the medium and long terms could they face problems? Silitski: If they're not capable of adjusting to these prices then, of course, they will. So it's no question. RFE/RL: What do you think the Belarusian economy needs to do to adjust? Silitski: Well, they have to start reforms that have been delayed for a decade and a half, starting with the energy sector and going down to privatization and restructuring of the economy. One of the reasons why this energy conflict is so prominent is that [Belarus] has just got used to their low energy prices for so long and the state-owned enterprises are just not that efficient. Probably energy consumption [compared] to GDP in Belarus is perhaps double what it is in Central Europe. They are trying to avoid privatization, but then it cost them. Right now their short-term strategy is to replace any serious restructuring of the economy by just borrowing. RFE/RL: And why are the Belarusian authorities trying to avoid restructuring of the economy? Silitski: Just because it is an issue of political control. Silitski: Absolutely, if they started employing 5,000 people, what do you do with 25,000 people? And if you give away property into private hands, how do you control it and another bunch of issues. RFE/RL: There have been hints from Belarusian officials that they do want to privatize, perhaps not big enterprises, but at least small- and medium-sized enterprises. Are there are any realistic signs that Belarus could begin a privatization program? Silitski: This government will not start any privatization until all other options have been used, and right now they're running out of options. Right now they're trying to replace privatization with state-run modernization of state-owned enterprises again by using foreign borrowing and just a few weeks ago they announced a major modernization of the cement industry and again they refused to privatize. [Instead] they want to borrow some half a billion dollars on the international markets to invest in these enterprises. So that's their strategy. They will pursue it until a) the external resources, the loans, are unavailable; and b) they encounter the situation where they have to privatize. But it will be a very difficult decision for them for the reasons I just mentioned. RFE/RL: And turning to Russia's relations with Belarus. Has Putin now had enough of Lukashenka? Silitski: I don't know whether it is really a political issue right now. It's not clear for me. They just failed to pay their debts and the one thing Russia wants from Belarus right now is money. Such situations were frequent a decade ago, but at that time it was pretty easy for Lukashenka to get some postponement or be forgiven the debt, but [this situation] is no longer. So Russia is definitely getting more tough on Lukashenka. RFE/RL: And apart from Russia, is there anywhere else Belarus could get the money from? Silitski: Oh, very easily. It's not an issue of politics all the time. Private borrowing is private borrowing. It is given by private commercial banks. Unlike Russia, Belarus has a very good record dealing with Western partners in terms of borrowing and returning debts. And interest rates that Belarus will be charged will be higher than in [Western] Europe, so it's pretty profitable to loan money to Belarus. Also there are these fraternal states like Venezuela, etc. But it's not that important, it's not that big money compared to Europe and Russia. RFE/RL: Some analysts have said that in the long term this could be good for Belarus as it could be forced into market liberalization and that could mean, in turn, more political freedom. Do you think that's an accurate analysis? Silitski: Well, in the long term, without doubt. Yes, I sort of think it will be good for Belarus. But the relationship between economy and politics is not linear. Even if the [Belarusian authorities] go for some economic reform, they will do it only to the extent where they will be able to keep political control. So even if you have some economic liberalization, political liberalization [can lag behind] for quite some time. It's simply not that easy. Germany is ready to provide partner assistance to Belarus in economic and political reform, Gebhardt Weiss, the new German ambassador to Belarus, told BelaPAN. He said that Germany had acquired necessary experience during the transition period following the reunification. The ambassador was cautious about giving reasons for Belarus' economic growth or its prospect. "The country's authorities are planning to modernize some industries, but the economic modernization is inseparable from the improvement of social and political institutions," Dr. Weiss said. He said that Belarus had a favorable geographic location and highly skilled workers "famous for their reliability," noting that this was a good basis for fruitful relations. He also emphasized the importance of contacts between non-governmental organizations. "In modern, united Europe, single countries should not define themselves as islands. They should be subjects of fair cooperation rather than influence," he added. Gazprom does not want to acquire Belarusian enterprises other than AAT Beltranshaz (gas pipeline network), Sergei Kupriyanov, spokesman for the Russian natural gas giant, said in an interview broadcast by Russia's TV Tsentr on August 3, BelaPAN reported. "Beltranshaz is what we really would like to get," he said. "We agreed on how we would buy half of this enterprise, agreed on how this company would operate after we got 50 percent and we so far don't have any additional new ideas." Mr. Kupriyanov denied media speculation that Gazprom's ultimatum to Belarus to pay off its outstanding gas debt was caused by Gazprom's intention to buy stakes in other key Belarusian enterprises such as oil refineries. "One should not look for a black cat in a black room, especially if the cat is not there," he said. In this case, it was obvious that gas supplies had to be paid, he stressed. According to him, Beltranshaz was to be transformed into a joint enterprise as far back as 2003, but "this was not done and what we are talking about now is not the establishment of a joint enterprise but a direct purchase of 50 percent in Beltranshaz for a rather large amount of $2.5 billion." Mr. Kupriyanov also noted that it was not correct of Belarusian officials to tie payments for Russian gas to the possibility of obtaining a Russian loan. Gazprom paid $625 million for a 12.5-percent stake in Beltranshaz as far back as early June and Minsk's argument that this money would come in handy later was worthless. "It was important to abide by the contract, which specified all issues for five years to come," he stressed. Under an agreement signed on December 31, 2006, Gazprom was to acquire a 50-percent stake worth $2.5 billion in Beltranshaz by June 1, 2010. It would pay for the stake by four equal installments between 2007 and 2010. The agreement obliged Belarus to pay $100 per 1000 cubic meters of gas instead of $46.68 but allowed it to pay 55 percent of the price in the first six months, as Minsk pledged to pay off the accumulated debt by July 23. Belarus, which plunged into a debt of some $460 million, failed to pay it by that date, explaining that it had not received a loan that the Russian government had allegedly promised to give for this purpose. Belarus' air force aces piloting fighter aircraft performed landings on the E30/M1 Minsk-Brest Highway in the Ivatsevichy district, Brest region, on August 4. One of the two jet planes, the Mikoyan-Gurevich MiG-29UB fighter, was reportedly piloted by Colonel Alfred Krawchonak, air force chief of the Western Operational and Tactical Command of the Air/Air Defense Forces, and Yury Asawtsow, deputy commander of the 61st Fighter Airbase in Baranavichy, Brest region. The other plane, the Sukhoi Su-27UBM fighter, was piloted by Colonel Yury Varabyow, commander of the 61st Airbase, and Lieutenant Colonel Anatol Maroz, a squadron commander with the airbase. The exercise, which was said to be the first one of the kind in the post-Soviet region, was observed by Defense Minister Leanid Maltsaw and Air/Air Defense Forces Commander Ihar Azaronak. A 30-kilometer road section was blocked for traffic during the exercise, which was aimed at studying the possibility of using automobile highways as reserve airfields. The planes, which had taken off in Baranavichy, at first performed a final approach for landing, coming down to the minimum possible altitude, and then landed at the second approach. After being refueled, the planes took off from the highway and headed for the Baranvichy airbase. Mi-24 helicopters of the 181st Combat Helicopter Airbase in Pruzhany, were patrolling over the area during the exercise. This exercise was a serious test for not only the air force but also for road builders, General Maltsaw said. "Very heavy planes landed and the pavement withstood their weight. That was also a test for cooperation with the traffic police, which cordoned off the area, and other services." "On the one hand, this is a serious success, but on the other hand, this is part of routine combat training," the defense minister said. "We continue work to master the theater of war under the combat training plan." On April 14, General Major Mikhail Lyavitski, deputy commander-in-chief of the Air/Air Defense Forces and air force chief, and other top-ranking air force officers practiced landing the Su-25 Frogfoot ground attack aircraft on the Minsk-Brest highway near Minsk. This plane is much lighter than the MiG-29 and SU-27, whose loaded weights are 16.8 and 22 tons, respectively. The Marco Polo Team of three Italian motorcyclists, led by lawyer Michele Orlando (R), shows paper cranes made by Italian children at Plaza San Marco in Venice on Aug. 3 before leaving the city on a 20,000-kilometer trans-Eurasian journey to Hiroshima via Belarus to campaign against radiation tragedies. The motorbikers will deliver paper cranes to a monument dedicated to a Japanese girl who died at age 12 as a result of the wartime atomic bombing of the city on Aug. 6, 1945. Belarusian tourists who got lost in Karelia have been found and now stay in hospital of the town of Segezha, BelTA was told by representative of the press service of the Emergencies Ministry of the Republic of Karelia Zinaida Burtovskaya. help as they spent seven days in the forests. The rescuers found the tourists by notches they left on trees, the representative of the press service said. We remind that three female citizens of Belarus got lost in the forests of Karelia while gathering berries. 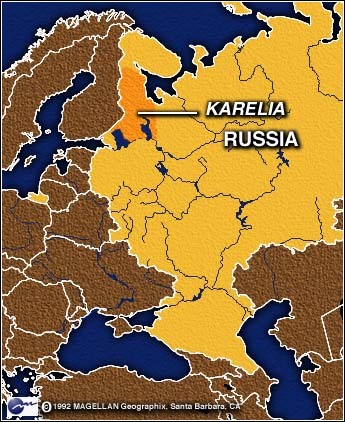 They are known to have arrived in Karelia as part of a group of tourists, who went down the river Nyukhcha. The three women went to the forest to gather berries 30-35km away from the town of Nyukhcha, Belomorsk region, and did not come back. The Russian rescuers started a rescue operation on July 27. In January-June 2007 as many as 2.363 million square meters of new homes were built in Belarus, 100.6% as against the H1 2007 target, the press service of the Belarusian Economy Ministry told BelTA. For people in need of better housing 1.381 million square meters of new homes were built. In rural and small urban communities 1.031 million square meters of housing were commissioned. In H1 2007 agricultural companies commissioned 4,351 dwelling houses and apartments, with 833 houses (apartments) built in agro-towns. Apart from that, 433 public welfare apartments and 1,301 dwelling houses for large families were built. As many as 305 dwelling houses and apartments for citizens to be resettled from physically deficient and decrepit homes were built. In H1 2007 as much as Br2.1 trillion in investments was spent on housing construction in Belarus, 25.6% up on the same period of 2006. Following decree No. 704 of November 30, 2006 this year 4.2-4.7 million square meters of housing are to be commissioned. Resolution No. 1807/23 “Measures for accomplishing the year 2007 housing construction goals” signed by the Council of Ministers and the National Bank of the Republic of Belarus on December 31, 2006 set the maximum amount of housing to be commissioned in Belarus in 2007 at 4.7 million square meters. Russian miniature submarines are seen underwater in the Arctic Ocean in this image taken from a television broadcast on Thursday. The submersibles symbolically claimed the resource-rich region by planting a flag on the seabed under the North Pole. Russia has taken a giant leap for the Kremlin by planting its flag on the ocean floor under the North Pole in a politically charged symbolic gesture to claim the rights to the seabed, which could be rich in oil and gas. In a dramatic technical feat testing international law, the Russians dispatched two mini-submarines 4km to the ocean floor in what is believed to be the first expedition of its kind. Both submersibles, with crews of three on board, completed their dangerous return to the surface this week after what was described as a "smooth landing". But the expedition raised the hackles of Russia's neighbours, who also have their eye on the vast mineral deposits that could lie under the Arctic area, and who consider the Russian move as a brazen land grab. "This isn't the 15th century. You can't go around the world and just plant flags and say 'We're claiming this territory'," said Peter MacKay, the Canadian foreign minister. Russia has fired the first diplomatic shot in a really cold war. The new oil rush has been galvanised by the shrinking of the polar ice cap because of global warming, which has allowed exploration that had previously been unthinkable because of the extreme conditions. Russia claims that the Lomonosov Ridge, an underwater mountain range crossing the polar region, is an extension of its territory. The United Nations has rejected Moscow's 2001 claim to the seabed, which it says is part of its continental shelf under international law, but Russia is about to resubmit its case to the committee administering the Law of the Sea. A brains trust of 135 Russian scientists, led by a 68-year-old personal envoy of President Vladimir Putin, the explorer Artur Chilingarov, plans to map out part of the 2 000km ridge. But this week's scientific achievement of dropping a titanium capsule containing the Russian flag on to the seabed could not conceal the political advantage gained by Putin. Once again, he has demonstrated to the West Russia's determination to expand its energy empire. The news of the mission's success dominated Russian television. Dmitry Peskov, Putin's spokesman, said the president considered it "very important… Being a unique scientific expedition, it is of course supported by the president". Sergei Lavrov, the Russian foreign minister, said: "I think this expedition will supply additional scientific evidence for our aspirations." But he added that the issue of the territorial claim to the polar region would "be resolved in strict compliance with international law". If recognised, the claim would give Russia control of nearly half of the Arctic's seabed. But four other countries - the United States, Canada, Norway and Denmark - also have claims on the ocean floor. According to the US Geological Survey, the Arctic seabed and subsoil account for 25 percent of undiscovered oil and gas reserves. The Russian convoy, consisting of a research vessel, a nuclear-powered icebreaker and the two submersibles, set sail from the northern Russian city of Murmansk last week. Initial concerns that the expedition could be thwarted by thick sea ice proved unfounded, although the research vessel, the Akademik Fyodorov, suffered from engine trouble on the journey. Chilingarov was on board the Mir-1, the first submersible to go down, and spent eight hours and 40 minutes under water. The final 40 minutes were tense, as the crew tried to find an opening in the ice. "It was so good down there," Chilingarov said on his triumphant return. "If someone else goes down there in 100 or 1 000 years, he will see our Russian flag." The Mir-2 had an international crew on board, including the Australian deep-sea specialist Mike McDowell, who has previously led tours to the Antarctic. The co-sponsor of the voyage, the Swedish pharmaceuticals millionaire Frederik Paulsen, was also in the submersible, according to the Russian news agency Itar-Tass. In addition to the engineering challenge, the dark depths of the Arctic waters are so mysterious that the Russian crew did not know what they would find. Vladimir Gruzdev, who accompanied Chilingarov on Mir-1, mused before their dive: "What if we encounter Atlantis there? Nobody knows what is there. We must use the opportunity 100 percent." The operation was straight out of a Jules Verne story, with expectations that exotic underwater creatures would appear from the uncharted depths. But, in a momentous anti-climax, the expedition's leader declared: "There is yellowish gravel down here. No creatures of the deep are visible." While in the Arctic until mid-September, the scientists will continue to study the climate, geology and biology of the polar region. But the Russians had better watch their backs: the Danes hope to prove that the Lomonosov Ridge is an extension of Greenland, which is part of Denmark. Canadian and Danish scientists are currently on two icebreakers mapping the north polar sea. Russia has made a decision to start serial production of its new Bulava-M sea-launched ballistic missile, following a successful test launch in late June, the Russian Navy commander said Sunday. The scheduled launch was conducted June 28 from the submerged Dmitry Donskoi, a Typhoon-class ballistic missile nuclear submarine, in the northern Russia's White Sea, and the missile reached its target at the Kura testing grounds on the Kamchatka Peninsula, about 6,700 kilometers (4,200 miles) east of Moscow. Admiral Vladimir Masorin said the latest test launch was important to make a decision on the ballistic missile production, adding that the concluding test launches would be made from the Yuri Dolgoruky fourth-generation strategic nuclear submarine. The national defense program envisions the deployment of the Bulava on nuclear submarines. The missiles are expected to become the mainstay of the Russian Navy's strategic nuclear forces in decades to come. Masorin said Russia would hold two more test launches of the Bulava missile in 2007 and would complete tests in 2008. "We have no doubts that the Bulava-M missile system will be tested successfully. Huge intellectual labor and financial resources have been invested in the creation of this system," Masorin said. Police are questioning seven crew members including the captain of a cargo vessel which hit a gas platform 40 miles (64km) off the Norfolk coast. 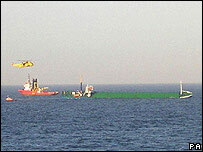 Six men jumped into the water after the "Jork" struck the unmanned Viking Echo platform in the North Sea. A helicopter and a rescue vessel were sent to the ship, which was carrying grain from Lubeck in Germany. Six men from Poland and the Polish captain are being questioned about the incident by Norfolk Police. The vessel sank at 0800 BST on Sunday after bursting its hull, which was caused by its cargo of wheat "swelling", coastguards said. Six crew members wearing lifejackets had to be rescued from the sea but the captain stayed on board trying to save the ship, which was destined for the River Humber. He too had to be rescued. Watch manager at Yarmouth Coastguard Mario Siano said: "The captain of the ship is in police custody and the rest of the Polish crew are being housed in a local hotel. "It's a routine thing for captains to be breathalysed in situations like this. There will be all sorts of checks done. It's a freak accident and we don't know what caused it." He added that the chances of such a crash happening were "minimal" as there was a 500m exclusion zone around platforms. ConocoPhillips, which owns the gas platform, has shut down production while any damage is assessed. A company spokesman said: "The platform is normally unmanned and we're very pleased it was on this occasion." The Marine Accident Investigation Branch is looking into the cause of the crash. Russian and Polish authorities on Thursday published a hefty volume of documents, many of them never declassified before, which shed new light on the ill-fated 1944 Warsaw uprising against the Nazis. The 1,400-page tome released by Russia's FSB security service, the Polish interior ministry and both countries' historical services, includes documents which have been kept under wraps in Moscow and Warsaw's archives since World War II. "In large part these are unprecedented documents," particularly interrogation records from the Soviet secret police, historian Jerzy Bednarek, of National Remembrance Institute (IPN), the body in charge of Poland's archives, told AFP. Poland is currently commemorating the two-month uprising launched on August 1, 1944 by the Polish Home Army (AK) against the occupying Nazis. Almost 18,000 Polish resistance members died as well as some 20,000 Nazi troops, and around 180,000 civilians were massacred by the Nazis or killed in the crossfire. After the ceasefire on October 2, Warsaw's remaining 500,000 civilians were expelled and the city was methodically destroyed by the Germans. The revolt was directed militarily against the Germans, but the political goal of Poland's non-communist underground government was to free Warsaw before the arrival of Soviet troops who were on the city's edge. The AK had expected to take over within days but was only able to seize pockets of Warsaw and then faced a massive Nazis counter-attack. The new work includes material from Nazi intelligence, whose Warsaw holdings fell into Polish hands after the war, and which helps explain why the AK failed to catch out the Germans. "Documents from Polish informers run by the Nazis inside the resistance demonstrate the degree of penetration of the movement by the Germans," said Marcin Majewski, one of the collection's editors. The Germans "didn't take the likelihood of a revolt seriously," but once it broke out "their detailed knowledge of the resistance set up enabled them to carry out pinpoint bombing which caused huge losses." The collection also examines the role of the Waffen-SS "Russian National Liberation Army" (RONA) brigade, mostly made up of Soviet troops who had sided with the Nazis after deserting or being taken prisoner. The RONA gained a reputation for butchering civilians, but the reality seems somewhat different, according to interrogation records, said Majewski. "Their role in the bestial repression of the civilians and the resistance was, finally, not as big as was thought," he said. "The Nazis tried to exaggerate the RONA's role and shift part of the blame onto it," he added. The volume, which is the third in a series launched in 2000, does not examine controversies over the Soviet role in 1944. Although the Red Army sent some communist-led Polish units to help, most Soviet troops watched from across the Vistula River. For critics, Moscow simply let the Nazis do the job of wiping out potential armed opposition to the looming communist takeover of Poland. Some historians back Moscow's version that the uprising was foolhardy and that Soviet troops, rather than holding back, were recovering from an offensive, which had already claimed hundreds of thousands of their number. Soviet forces only moved into the heart of Warsaw on January 17, 1945, signaling the start of more than four decades of communist rule. The Party of Regions congress had approved an election programme and a list of candidates for the early parliamentary elections in Ukraine scheduled for September 30. Members of the party stressed that the Party of Regions should use its election campaign “in order to show people the differences between the populist activity of the two previous governments and the effective work of the present government led by Viktor Yanukovich” who is leader of the party. In compliance with the congress’ decision, Yanukovich will lead the list of candidates from the Party of Regions. The “five” also includes chairwoman of the Party of Regions faction Raisa Bogatyreva, people’s deputy Taras Chornovil, Justice Deputy Minister Inna Bogoslovskaya and Emergencies Minister Nestor Shofrich. Over 500 delegates representing all regions of Ukraine took part in the congress. Russia to Belarus: No gas for you! For as much complaining as Russia does about the Western "conspiracy" to support civil society and democracy movements, encouraging a fearsome enclosing circle of democratic color revolutions, you would think that they would just love dealing with one of Europe's last remaining true dictators - Alexander Lukashenko of Belarus. Not so fast. It may be a big secret, and I don't think we can expect Russia to stop its whining of the victim narrative any time soon, but it would seem that President Vladimir Putin strongly prefers working out energy deals with democracies - they are so much easier to screw over. Case in point, Russia's dealings with Belarus are proving to be an endless headache. Once just an obedient satellite state of the Kremlin (reunification was even on the table for a few years), Lukashenko did not take kindly to having his energy subsidies cut, and started to become a real pain in regards to the new gas prices being demanded of him by Gazprom. Last January, Russia cut off the flow of gas to Belarus (see Gas War, Chapter II) after their refusal to pay nearly double the rates (Gazprom asked for an increase to $100 per 1,000 cubic meters, up from $55). As energy analyst Derek Brower has written on this blog in the past, the fact that Gazprom is seeking market rates for its gas is of course not problematic in itself - what is sinister is that Gazprom was asking for an amount that it knew that Belarus could not possibly pay, which made them fork over control of Beltransgaz, the national pipeline monopoly, to Russia - which was of course the asset originally sought after in this dispute. But natural gas prices weren't the only part of the ongoing energy fight between Minsk and Moscow - Transneft also sought to jack up oil transit tariffs, and accused Belarus of siphoning from the Druzhba pipeline. To show they meant business, Russia cut off the flow of oil to Europe without explanation, much to shock and outrage of European consumers. With the natural gas reduction two days away, checked by the Kremlin on one side and his paranoia on the other, Lukashenko has only two options ahead of him. On one hand, he can go with his traditional pro-Russian instincts and crawl into the doghouse on the Kremlin lawn, giving Gazprom full access to Belarus' energy infrastructure and promising not to cause any more trouble. On the other hand, he can make a sincere overture to the West based on common energy concerns or the potential for economic and political reform, asking Europe to come to his aid and pay the debt. Neither option is optimal for Lukashenko, but given his previous behavior, he will accept the Kremlin's terms rather than risk being removed from office. I'm inclined to agree with this analysis - like Turkmenistan, Belarus will probably feel safer working with a government that has no qualms about autocracy and repression. But is this really the outcome that would be most convenient for the Kremlin? Lukashenko has been problematic on energy time and time again, and as Yulia Latynina once pointed out in a Moscow Times column, the Belarusian dictator doesn't have much to lose, and knows how to play a strong hand. So while it may appear otherwise when he is hobnobbing with Hugo Chavez and Lukashenko, or getting chummy over their mutual rejection of the U.S. missile shield, Vladimir Putin is rumored to absolutely detest Lukashenko. The two men have zero rapport, and Moscow would probably fare better working with a government that could be more easily manipulated by propaganda, funding, and manipulation of public opinion. That is to say, maybe Russia would like Belarus to have a color revolution after all - a weak democracy would be so much easier to steal from. Once again Russia's state-owned natural gas monopoly Gazprom is making news, this time threatening to cut off 45% of gas supplies to Belarus, unless the two sides can reach an agreement by the end of today. Belarus' natural gas transport service, Beltransgaz, reportedly owes Gazprom $500 million. Minsk has fallen further behind on paying its debt to Moscow since Gazprom effectively doubled its prices on January 1, 2007, raising the rate from $45 per thousand cubic meters (tcm) to $100 (in comparison, Gazprom's main customers in Germany and the E.U. pay more than $200 per tcm). When it agreed to the new price hike, Beltransgaz also sold shares of its stock to Gazprom as collateral on its previous debt. UPDATE: Beltransgaz made a down payment on its debt today to avoid any shut off, according to this press release from Gazprom. As a former close ally of the Kremlin, Belarussian President Alexander Lukashenko apparently thought last year that his country would continue to receive cheap Russian gas indefinitely. In fact, Russia's close relations with the authoritarian Lukashenko regime were one of the big complaints made by Western commentators about the Putin Administration. Yet when Gazprom decided to change course and raise prices closer to European levels in December 2006, NBC Nightly News reported that Russia was punishing Belarus for "stepping out of line". Other commentators cited the dispute as yet another example of "Russian energy imperialism". Apparently when a Russian state-owned company does something, it can't possibly have anything to do with economics, it must always be about maintaining political control in Eastern Europe and the former Soviet Union. Even Russia's headlong plunge into the global economy, with some notable exceptions, has become a subject for consternation, with one writer for the Wall Street Journal recently titling his article "The Next Globalization Backclash: Wait Till the Kremlin Starts Buying Our Stocks". Hopefully though today's story will drive home the point that if you want to understand where the New Russia is headed, follow the money, not ideology or Kremlinology. Two Blogospheres. 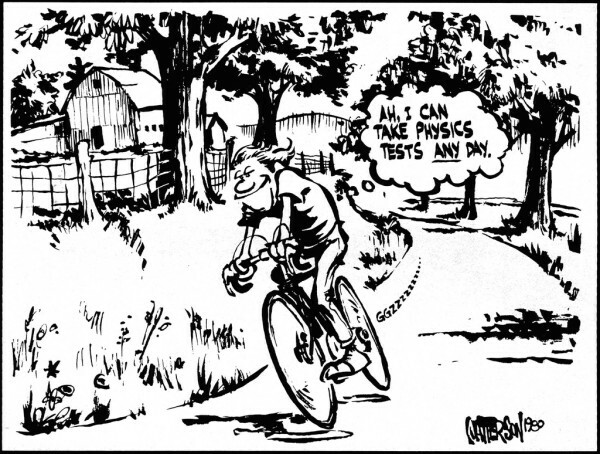 One style of thinking. Belarusian and Russian blogospheres kept discussing 2 topics recently. For Russians it was a forceful incarceration to a sanatorium of a journalist and a United Citizens Front activist for her article about treatment of “mentally sick” in such sanatoriums in Murmansk region. For the Belarusian blogosphere it is the new gas war, or Gazprom supplies cut-to-be. Immediately after the article about illegal sanatorium incarcerations and treatments there had been released, its author had been (luckily only in the comments) attacked by the so called “patriots” who told him that all of the democratic activists had been mentally sick and they all should be put in such sanatoriums. There had been a range of philosophers who put on “thinking” masks and “argumentally” proved that Russia had not been ready for freedom yet. Such articles, they said, might “provoke disturbances in some brains”, and therefore those journalists better not write about illegal treatments in sanatoriums and forceful incarcerations. The fact that half of the people in that sanatorium had been healthy and incarcerated there for some financial reasonsor in a matter of revenge without any legal order, and the fact that all the patients were treated like slaves worried no one. Belarusian blogosphere worried about gas and only gas. It had not been as far chauvinistic as the Russian one traditionally is. However, the calls for Lukashenka to continue its line, to remove military bases from the Belarusian territory if Russia gives no gas (read - for free), and general labelling of main ally’s actions as “treacherous” confirms that Belarus has not yet got rid of colonial thinking. And shouting these had been people with democratic views - the state media and blog communities do not dominate BY-net at all. Official blogs and communities are scarce and completely unviable. What else would you expect of people who are used to work in non-competitive environment and got into a highly competitive one? The fact that Russia would press current government is a FACT. But who is guilty? The current government which made our country so slavely dependable on Russia? This gas is Russian, and it had been sold at the agreed price. Market economy rules are impossible to beg - and this is what our government is most use to do. And what is worse - it made some democratic activists believe as well in a myth that we can and should beg Russia for cheap gas giving nothing in return. Russian government had always been paying its Belarusian bills on time. Gazprom wired USD 625 million for a 12.5% Belatransgas shares. Population of Belarus and its enterprises pay full price for gas. The budget has USD 460 million to pay - it is just Lukashenka can not ajust to a though that people are now paying to Russia, not to his Presidential fund which is completely uncontrollable. it is chauvinistic. In Belarus its a luxury - yet it is the last and first territory of freedom and democracy. I just want our democratic people to get rid of the remnants of colonial thinking. In market economy, we should buy everything. Begging for something means giving out something. Independence is not about begging. How Neo-Soviet Can Russia Possibly Get, Part I: Annals of Russian "Diplomacy"
Last Tuesday, Russian officials met with Palestinian President Mahmoud Abbas and called him the "legitimate leader of the Palestinian people." It seemed Russia was actually attempting to be civilized for once, and distance itself from a standing pattern of active support of the isolated terrorist regime of Hamas (Russia has also supported Hezbollah and sent weapons to Syria). But the very next day, Hamas "lawmaker" Khalil al-Haya announced that his organization had a new date to meet with the Kremlin, specifically a Hamas delegation headed by Khaled Mashaal, the Islamic group's exiled leader, who is based in Syria. At first the Kremlin denied these reports, repeatedly claiming there was no effort to meet with Hamas as it sought to milk the positive PR cow, but then on Sunday the Israeli newspaper Haaretz reported that the Kremlin's foreign ministry, headed by the leering Minister Sergei Lavrov (shown above), had indeed confirmed the new meeting with Hamas. Lavrov was quoted as saying: "It's important to hold such talks and countries that do not do so are wrong." Do you dare to imagine Russia's reaction if Condi Rice decided to have a sit-down with Shamil Basayev and, faced with Russian objections, said "it's important to hold such talks and countries that do not do so are wrong." Russia apparently feels that there are two sets of rules in the world, one for Russia and one for everybody else. Its behavior is in no way different from that of the old USSR, just as heedless of the consequences, just as self-destructive, just as provocative and delusional. It's the evil empire, all over again. The Russian Navy will become the world's second largest in 20 years' time, said its commander-in-chief, Admiral Vladimir Masorin, speaking ahead of Navy Day. He said the navy's core would consist of the newest strategic nuclear-powered submarines and six squadrons of aircraft carriers. For Russia's navy, this will be its third modernization program, said the admiral. 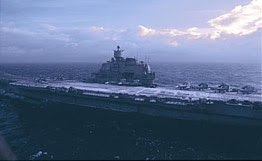 The previous two, although giving it a boost, were never completed. Now, said the admiral, there is such a chance. Recently approved, a rearmament program until 2015 for the first time in Soviet and Russian history puts the development of the navy on an equal footing with strategic nuclear forces. Out of 4.9 trillion rubles ($192.16 billion) allocated for military rearmament, 25% will go into building new ships. "We are already building practically as many ships as we did in Soviet times," First Deputy Prime Minister Sergei Ivanov said during a visit to Severodvinsk. "The problem now is not lack of money, but how to optimize production so that the navy can get new ships three, not five, years after laying them down." Ivanov said Russia has a strategy for shipbuilding until 2030 under which warship production is to increase by 50%. For the first time in 15 years, a series of 40 frigates has been laid down, with no less than ten each for the Northern and Baltic fleets. In February 2006, after a 16-year break, the frigate Admiral Sergei Gorshkov had its keel laid down, a surface ship intended for long-range operations in distant seas. The navy has plans for about 20 such ships. Admiral Vladimir Kuroyedov, a former commander of the navy, outlined their concept and the strategy for naval development they are to fit into: "We should abandon the existing multitude of ship and aircraft classes. Compact-sized fighting blocks going to make up ships should increase their fire power and reduce research and development costs." The idea is to drop the use of specialized ships capable of fighting only submarines or aircraft carriers and to go over to multi-purpose fighting units meant to carry out a wide range of missions away from home. Such ships will be assembled from modular units, and their weapons and equipment will be unified for all types of combat craft. In the future, this will not only facilitate the provision of spare parts and ammunition, but also simplify maintenance, repairs and modernization. Of special note are plans to build six aircraft carriers, which would make the Russian Navy the world second in terms of combat capability. The government program, however, does not provide for their construction before 2015. Nor is there mention of them in plans for the period until 2030. But during his recent trip to Severodvinsk, Ivanov was shown plans for a new $500 million dock designed to build large-tonnage ships at the Zvyozdochka ship repair yard. Earlier such large ships could only be built in Nikolayev, Ukraine. The dock, the Russian shipbuilding agency said, is needed to build gas carriers - ships to transport Russian liquefied natural gas to Western partners. The same dock could also build aircraft carriers. At any rate, the project is already on the drawing board. Masorin said the craft would be a nuclear-powered ship not less than 100 meters long and would carry an air wing of 30 combat fighter jets and helicopters. But this is not going to be soon. But modernization of existing vessels is only part of the rebuilding program. The Sevmash engineering plant at Severodvinsk is currently building a series of new fourth-generation submarines. These are Project 955 Borei boats. It is for them that the new Bulava sea-launched ballistic missile is being developed. Experts believe the new nuclear submarines and "floating airfields" will mean a quantum leap for the Russian Navy and its combat capabilities. Minsk , capital of Belarus ,is not likely to have realized that joking with Russia is not safe .But be they may well understand that the two states are at the brink of the so called “gas war”. This week the Gazprom is to partially block the gas flow the Die Tageszeitung’s journalist Barbara Oertel writes in her news story. However, unlike at the beginning of the year the dispute is not about the price hike but about the USD 500million debt which was not timely repaid by Minsk to Russia. Simultaneously the Belarusian government wanted to make a borrowing from the Kremlin, by the way, for repaying the above-mentioned debt-this is the way the creative post-soviet bookkeeping works. It becomes clear again to which extent Lukashenka depends on Russia. The symbolic energy prices of the previous years were a sort of authoritarian Lukashenka’s survival guarantees. They allowed him to keep the population in check- by means of social programs and regular, though not considerable, payments of pensions and salaries. However in an along-term perspective this course is impossible to restore and the moment when Lukashenka will find himself in a predicament is not far .And economic reforms may become the only chance for avoiding such route of development. But for the current regime such task is problematic. The belated liberalization of Belarus may give the impetus to the processes beyond the regime’s control and Lukashenka’s dictatorship will be doomed to failure. A similar scenario is completely beneficial for Moscow. The obstinate Lukashenka has already been written off the Russian account. The Russian authorities may start patient waiting as, according to the periodical, it is evident today: Lukashenka’s successor issue is to be decided in Moscow. “Belarus has incredibly large outstanding debts to foreign companies. That makes us consider that Belarus is short of money and it really has nothing to pay with”, the analyst of the British research center “Global Insight” Natalia Leschenko says. Standpoints of Russia and Belarus and their relationship with Europe are going to depend on the war of images. Will Russia manage to confirm the European Union that Belarus does not fulfill its obligations or will the Belarusian government manage to create the Russia’s image of a state threatening the Belarusian sovereignty?”, considers Natalia Leschenko . Much is going to depend on Lukashenka’s actions .He has appeared between wind and water because if he takes away the Russian gas trafficking to Europe, he will completely eliminate the possibility of improving the relations with the European Union which he considered as the alternative to the relations with Russia, Natalia Leschenko told the Radio Svaboda. The analyst considers that Belarus is really short of money. “Last week the Global Insight reduced the sovereignty rating of Belarus to the situation of probable default. To the best of out knowledge, the liquidity is highly problematic in the country. It is true that the external debt here is really low because not much has been lent to Belarus. But Belarus has incredibly large outstanding debts to foreign companies, as far as our calculations go, around USD 92 to Russian companies and USD 193 million outside the C.I.S. That makes us state that Belarus is short of many and has nothing to pay with”, the analyst of the British research center says. The Belgazprombank is going to raise around USD 500 million for repaying the debt for the gas delivered to Belarus in the first half of the year, it was reported by chairman of the management board of the Belgazprombank Viktar Babaryka at the press-conference yesterday. “Raising of USD 500 million for the Beltransgaz is possible and a corresponding offer has been made”, the chairman of the management board said. According to him, «now the potential organizers of the syndicated loan have already been determined” .Meanwhile, he stressed that for the syndication to be organized the borrower’s agreement is required. “That should be a mutual agreement”, he remarked. According to him, there are several possible options for settling the outstanding payments’ problem; the Belarusian party may pay the debt out of its funds, it may borrow the money form the Russian party or from the outside. The National Bank of Belarus has also expressed its intention to convert the funds nominated in Belarusian rubles. Russian experts remark that despite of the fact that the resources for making the gas payments are available in Belarus , after paying the debt to the Russian gas monopoly the government will have no money for supporting the subsidy-based Belarusian economic model and that may considerably deteriorate the seeming social wellbeing and the authority of the country’s leadership. Russia wishes to subordinate Belarus economically, doesn’t it? Russian-Belarusian gas problems are really caused by the desire of the Russian oligarchs to ”privatize” Belarus, head of the analytical center “Ekoom” Sergei Musienko declared on commenting the statement of the head of the Belarusian state A. Lukashenka that Russia would like to ”privatize” the whole Belarus. According to him, those strivings have been manifested in the desire to “create the specific economic conditions under which the delivered power sources may be repaid with the fixed assets, financial assets and the enterprises themselves”, the expert said to the Interfax Belarus. Sergei Musienko remarked that “the attractive assets among them Belaruskali, BelAZ, Belarusian Metal Works are available with Belarus. That will be enough for making another 10-15 Russian oligarchs”. Independent Belarusian trade union (SPB) called the government of Belarus for immediate implementation of the International Labor Organization’s recommendations. “Preferences may and must be returned”, the SPB is certain. For this it is enough that the government implements the International Labor Organization’s recommendations.” EUR 400 million is big money and today it is under the government’s feet. Pick the money up- the people and the economy need it. We call you for doing that immediately!” it is said in the appeal of the council of the independent Belarusian trade union to the Belarusian government published at the www.praca-by.info. In the appeal of the SPB it is mentioned that “the economic situation in the country made Lukashenka’s government look for additional sources of the sate budget replenishing .The way out was easily found; miners, oldies disabled and impoverished have to be deprived of their benefits and guarantees”, it is said in the document.